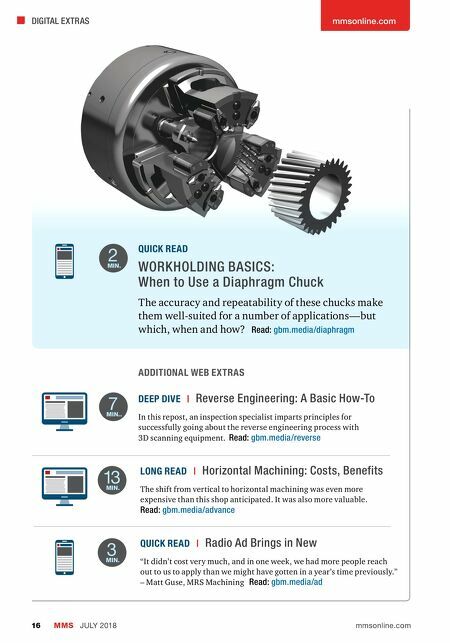 mmsonline.com DIGITAL EXTRAS MMS JULY 2018 16 mmsonline.com ADDITIONAL WEB EXTRAS QUICK READ WORKHOLDING BASICS: When to Use a Diaphragm Chuck The accuracy and repeatability of these chucks make them well-suited for a number of applications—but which, when and how? Read: gbm.media/diaphragm QUICK READ | Radio Ad Brings in New "It didn't cost very much, and in one week, we had more people reach out to us to apply than we might have gotten in a year's time previously." – Matt Guse, MRS Machining Read: gbm.media/ad 3 MIN. DEEP DIVE | Reverse Engineering: A Basic How-To In this repost, an inspection specialist imparts principles for successfully going about the reverse engineering process with 3D scanning equipment. Read: gbm.media/reverse 7 MIN.. 2 MIN. 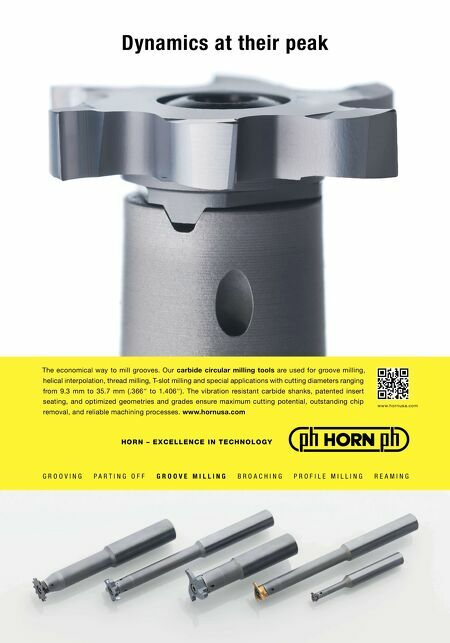 LONG READ | Horizontal Machining: Costs, Benefits The shift from vertical to horizontal machining was even more expensive than this shop anticipated. It was also more valuable. Read: gbm.media/advance 13 MIN.